Mailbox Monday is hosted this month by Marcia at The Mailbox Monday Blog . This week I recieved ” The Help by Kathryn Stockett ” , it’s on my wishlist for a long time , I even skipped the movie as I wanted to read the book first . Finally, I was able to order it 2 weeks back . As Mukunda and Bakul grow, their intense closeness matures into something else, and Mukunda is banished to Calcutta. He prospers in the turbulent years after Partition, but his thoughts stay with his home, with Bakul, with all that he has lost—and he knows that he must return. This is a tale of a multigenerational family, chronicling 5 decades of a Bengali family’s history, that, in addition to challenging the caste system in India . The book is very well written in the setting of pre-independent and then independent India, particularly the state of West Bengal . There are two settings, it starts with small town and then the story moves on to big city ( Calcutta , now known as Kolkata ) and ends at a small town. 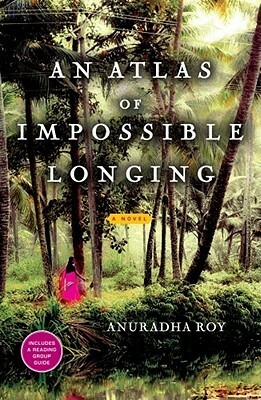 Ms. Roy beautifully captures the essence of then India / Bengal . Her descriptions are so real and vivid , you can almost see it in your mind . Now , those who are not in anyway know anything about India or Bengal it will be very hard for them to understand as well as imagine all the family and social relations and rituals and political upheavels that takes place in the story . The first part is a little slow , Ms. Roy takes her time to build the chracters and the environment which again if you are not used to Bengali culture , will be hard for you to get into the story ,the second part is the peak and if you can finish the first part you will like the second part as it moves a little fast but when it comes to the third part it kind of ends in a hurry though I like the ending I wish it took some time to end. This book is a good choice for book club discussion . 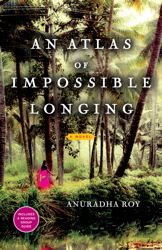 I personally liked the book , maybe I am a little partial about it as I am myself a Bengali girl !